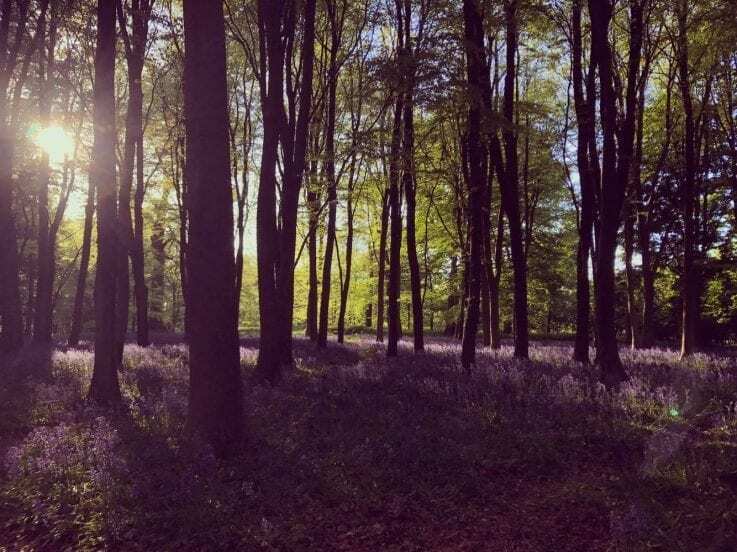 Oxfordshire is abundant with beautiful parks that are free to the general public, and offer a great place to go and relax on a sunny afternoon, take a romantic stroll with a loved one, or keep the kids occupied for a few hours! In Oxford city centre and surrounding areas enjoy South Park, Cutteslowe and Sunnymead Park, Port Meadow or Florence Park. For more parks in Oxford, see here. Further afield, Witney, Faringdon, Abingdon and other Oxfordshire towns and villages also have great parks – including Abbey Meadows and Gardens in Abingdon and the Folly Hill in Faringdon. Earlier this year, Experience Oxfordshire received funding to create a fantastic new augmented reality app in conjunction with England’s Historic Cities; allowing the story of the ancient Bodleian Library to be brought to life through the tales of the it’s first librarian – Thomas James. Immerse yourself in the app which takes you around 13 check points across areas including the libraries Old Schools Quadrangle, the Radcliffe Square, the Sheldonian Theatre and surrounding streets. Use the apps technology to explore the libraries rich history and traditions, and how it functions now – 400 years on. Download onto your mobile device by searching for the England’s Historic Cities app on your app store. Running through 184 long miles of breathtaking scenery, the Oxfordshire Thames Path passes through areas including the Cotswolds in Gloucestershire, before winding all the way through Oxford and ending in the country’s vibrant capital, London. The 51 miles of the path from Oxford to Henley-on-Thames contains some of the most striking riverside scenery in the country, so why not experience it by taking a walk along that stretch? Pass through areas in the city of Oxford, as well as Abingdon – England’s oldest, continuously occupied town (stop at the Nag’s Head for great food and views of the river), Wallingford – with it’s 900 foot medieval stone bridge, and Henley – home to the most famous rowing regatta in the world; Henley Royal Regatta. Oxfordshire is an ancient county with rich history and fascinating stories to tell; visit a Museum in the city or in a surrounding town to discover its wonders. In the city centre, the Museum of the History of Science, Pitt Rivers Museum, and the Ashmolean Museum are home to unique exhibitions and collections; discover one of Einstein’s blackboards, instruments from the Kingdom of Benin, Pre-Raphaelite paintings and so much more. As well as these, there are several museums within the surrounding towns and villages that provide great sources of information and education for visitors, including The Oxfordshire Museum in Woodstock, Abingdon County Hall Museum and Vale and Downland Museum in Wantage. One of Oxfordshire’s most iconic landmarks, White Horse Hill in Uffington is a part of the county not to be missed. The highest point in Oxfordshire, White Horse Hill boats stunning panoramic views across six counties! Great for rambling, letting the dogs run free and seeing how high your kite can go, this National Trust site is a treasure of the county that’s well worth a visit. So many picnic spots, so little time! We are spoilt for choice in Oxfordshire when it comes to finding a peaceful little spot to take a break and enjoy a yummy feast next to the river. In the city enjoy watching the rowing boats float by whilst you sit on the banks of the river at Christ Church meadows, or roll out the mat with friends in one of the cities leafy parks mentioned above. If you’re rambling through the countryside, lay your blanket down on the riverside in Standlake between Abingdon and Witney; go all out and hire a pedalo or electric boat whilst you’re in the area, and relax afterwards with a refreshing pint in one of the local pubs – The Maybush or The Rose Revived. A plethora of independent shops and boutiques entirely unique to Oxford, the Covered Market is truly one of the great hidden gems of the city and should be at the top of your ‘to do’ list whilst visiting. From the famous Cake Shop, where you can watch the incredibly skilled bakers creating masterpieces at their work stations, to quaint cafes serving hearty food, fine jewellers and oh so much more, it’s hard not to find something you love in this historic market. Famed for it’s Dreaming Spires, Oxfordshire is full of stunning churches that are architectural masterpieces. In the city centre, visit the Church of St Mary the Virgin – said to be the centre from which the University of Oxford grew, St Mary’s is situated on the High Street and boasts a 13th century tower with panoramic views of the city. Visit Magdalen College Chapel at the top of Magdalen Bridge, famously known as the chapel from where choristers of Magdalen College sing Hymnus Eucharisticus from the Great Tower to celebrate the coming of spring on May Morning every year. Not to be missed, Saxon church St Michael at the Northgate is centrally located in Cornmarket Street and was built a the north gate of Oxford when the city was surrounded by a wall! Find other stunning spires in towns and villages including Bampton, Woodstock, Abingdon, Banbury and beyond. Oxford holds markets every Wednesday and Thursday at Gloucester Green, offering those who visit a wonderfully eclectic array of international cuisines, fresh fruit and veg, antiques, bric a brac, vintage clothes and so much more! Enjoy pad thai, pick up charming antique furniture, take home a beautiful bunch of flowers or simply enjoy strolling round and taking in the bustling atmosphere. Beyond Oxford city centre, you can also find markets in Abingdon, Henley, Faringdon and Witney. In addition to all the great free places to go in Oxfordshire, our What’s On page is regularly updated with new and upcoming events on across the county; from theatre shows and art exhibitions to festivals and fayres – you’ll find all the latest info here. Let us know what your favourite free things to do in Oxfordshire are by tweeting us at @ExperienceOx or posting on our Facebook page – Experience Oxfordshire.